Veronica, of Sew Very, and I share similar backgrounds. We both left careers in engineering to stay home with children, and we discovered a passion for sewing in the process. 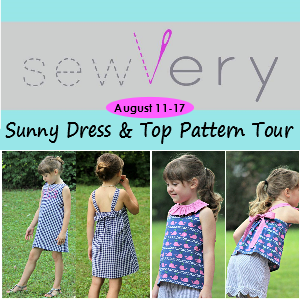 Her love of sewing has lead to designing her first PDF pattern,and I'm thrilled to be a part of her first pattern tour! 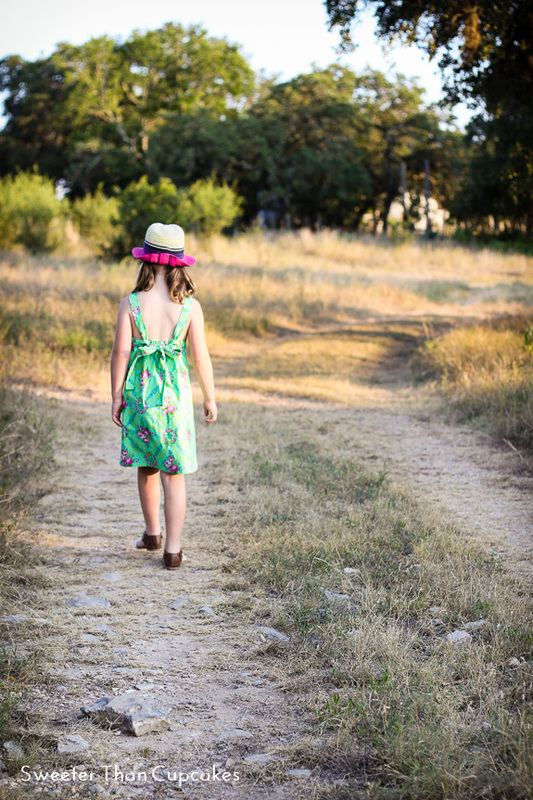 The Sunny Dress and Top pattern is such a quick and simple sew that I was able to complete it on my Mom's vintage machine with her vintage tools in a few quick sittings. It would have been even quicker if I'd had my turn-it-all tool for those long straps!! The pattern has several options, dress or top and ruffle neck or no ruffle. I went with the Sunny Dress without the ruffle neck. The straps tie off at loops in the back that fall around the bottom of the shoulder blade. The sizing is great, and easily adjustable with the elastic in the back. 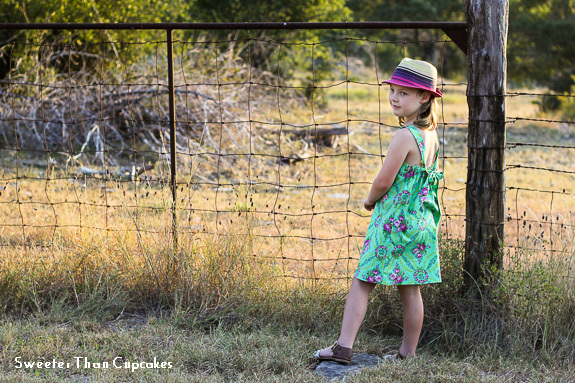 For Avery, I sewed up a size 6 lengthened to a size 7. I can't leave you without discussing the fabric! 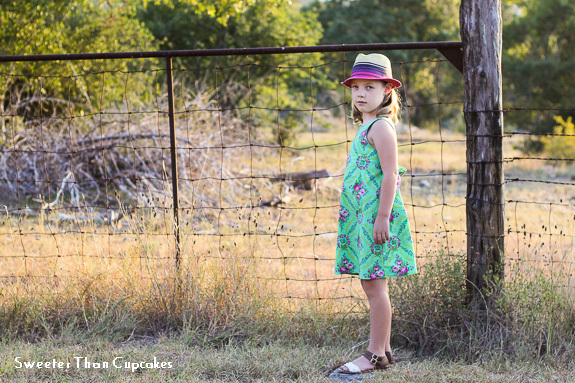 A simple silhouette like this gives you lots of room to play with pretty prints. The Beauty Queen Charlotte print by Jennifer Paganelli really shines in this style! There's a great line-up of guests on the pattern tour, so be sure to check them all out! 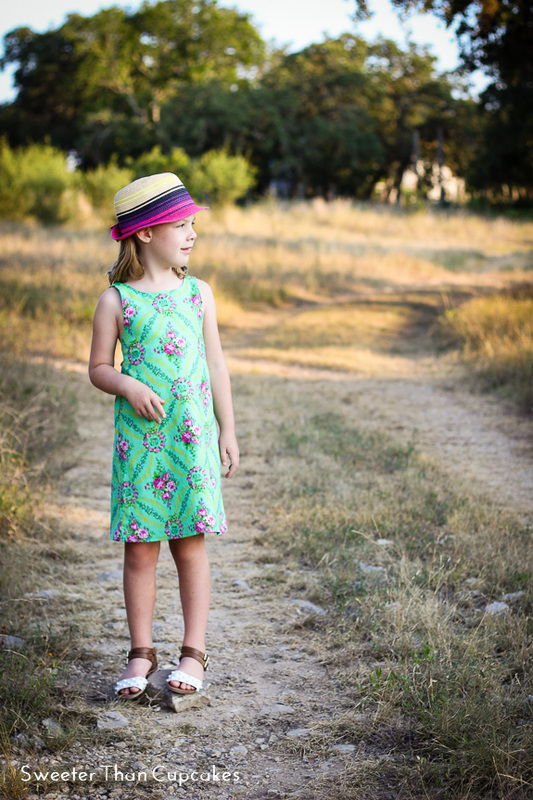 During the tour, the Sunny Dress & Top pattern will be 20% off with code SUNNY20. 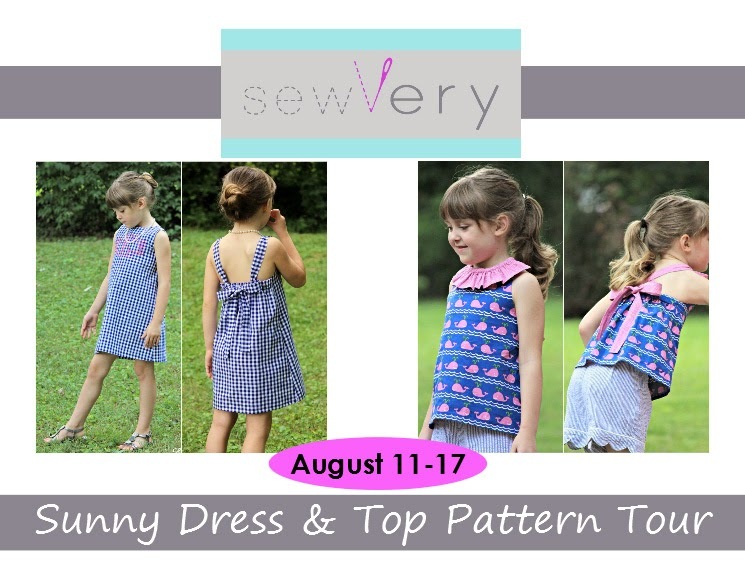 Before you go, be sure to enter to win a copy of the Sunny Dress & Top below! Haha! I said the same thing about you in my intro post! Courtney, this dress is perfection and looks stunning on your daughter. I'm convinced I need to buy this fabric to make Ella one just like it! Like you said, we've got a lot in common!! Nice vintage machine... do you know what year it is? What type Rachel? The Singer is from 1973. Those older machines seem like they can last forever. Very cool. Yeah, I can't imagine doing a buttonhole on one of those would be easy. My Bernina does them so well that I'm spoiled.